Welcome to the second edition of the ‘How I Put My Type 2 Diabetes Into Remission’ series. 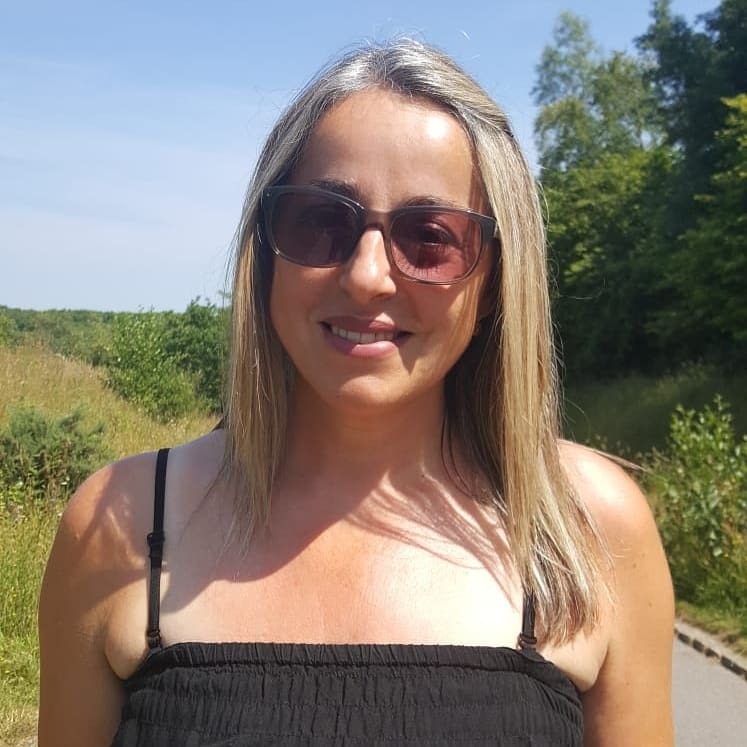 Sonia has kindly offered to be interviewed and talk about her experience of achieving remission. Sonia gives some fantastic advice. 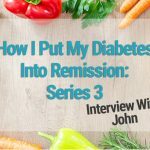 So for anyone who has recently been diagnosed, or is finding diabetes a challenge to manage, I hope you find this interview as inspiring and motivating as I do. 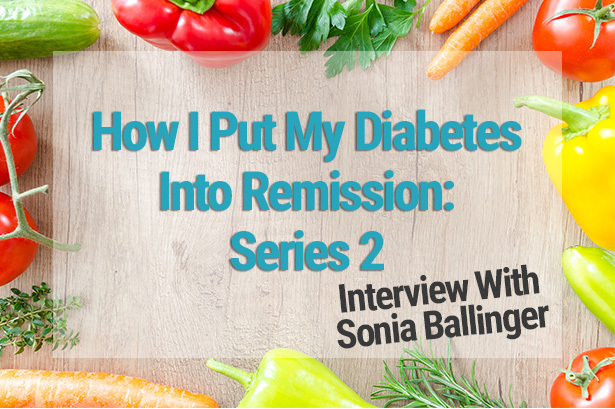 Hi Sonia, can you tell us a bit about you and your diagnosis with type 2 diabetes? I was cross and scared – I have no family history, was not massively overweight, ate a healthy diet (not low carb though), had never had a sweet tooth, don’t ever drink fizzy drinks – so I remember just feeling very sorry for myself that it was so unfair. I had been through some significant, stressful times at that time. The doctors said this could have been the cause. I also felt very uninformed so when I looked up the symptoms of type 2 diabetes I had every single one! I had just never looked at them all together before as a whole. It made total sense. The unbearable thirst I always had, constant chronic kidney infections, yeast infections all the time, even in my mouth, and tiredness. So part of me was relieved that maybe I could do something about all of these issues. I started investigating immediately. As soon as I got my diagnosis I started looking into what having type 2 diabetes meant, what I could do to control it and how to avoid taking medication. I found a lot of information online about diet controlled through low carb eating. This was not the diet the GP had recommended at the time (it seems they are coming around to that way of thinking now). It was not supported by my GP and frowned upon when I first started and I continously felt I was doing something terribly wrong, even though my results were clearly benefiting. I refused any medication. I started a low carb way of eating immediately. Cutting out all sugar, bread, pasta, rice, flour, potatoes, pulses, grains, and cereals. It was hard to begin with. But once I started to get a repertoire going of our favourite meals converted into low carb versions, it quickly became a way of life for the whole family. I learnt that by eating this way I was never hungry between meals and was much more satisfied (before low carb I was permanently hungry). I have now realised eating a diet high in carbs actually made me hungry all the time. Exercise helps lower blood sugar levels too. So, this is equally important. When I was diagnosed my GP surgery did not recommend self-testing. However, I went away and bought myself a glucose monitor and testing strips and would monitor myself an hour after eating, regularly. This is particularly important in the beginning when you don’t know how foods affect your own blood sugars. For example, some people can happily eat oats/porridge without consequence, whereas for others, it can affect their blood sugars. I found it really interesting. It’s the only way you can work out, without a doubt, what spikes your blood sugar and keep an eye on how you are doing. I found out I was type 2 diabetic in June 2014 and my HbA1c was over 50 mmol and by August the same year it was 40 mmol and I had turned my results around. I didn’t stray from my low carb way of living at all. My HbA1c now is 34 mmol four years later. I found initially it was hard eating out, still a problem sometimes, but mainly abroad. We recently went to Amsterdam and you would be amazed at how many places hide potatoes in their dishes, with no mention of them on the menu! You just have to get good, quick, at asking lots of questions about what’s in your food and drinks. You soon get used to substituting bad choices for good ones. I have my favourite places to eat that make that task easy for me. Eating at friends and family houses was hard too, but mainly people just ask me beforehand what I would like. I have got very clever at adapting and when I can’t adapt, my husband, friends, and family are really good about doing swapsies! I.e. giving me their bacon for my toast, ha ha. Birthday cakes are a hard choice, people get offended when you don’t partake. Either I have a tiny bit, or just explain. I have had a few outbursts I have to say. You will hear a lot of… ”one won’t hurt”, and, “go on, you can be good tomorrow” etc, which after a while gets aggravating. I was very concerned about changing my diet in this way and it having a bad effect on my cholesterol, however over the four years it has gone down. So, I need not have worried. (It’s important to get this checked regularly). When I started I decided to make this way of eating sustainable. For me, long-term, I knew “carb counting” would be a no-no. I still have no idea what macros or ketones are! I do not eat any ready meals, I cook and bake almost everything from scratch. This makes life simple, as there are never any hidden surprises in my food. Anything pre-packaged I go by the rule that I never buy anything that is above 4 grams of carbohydrate per 100g. With the exception of dark chocolate, as a treat (the lowest I have found is 17g per 100g!). Obviously the lower the better. If I did eat something that was as high as 4g per 100g, I just won’t do it often. When I first started this way of eating four years ago I just did not eat sweet treats, it made it easier then to control my levels. However, now I am armed with Instagram and various low carb sites for advice, and through experimenting, I make my own low carb sweet treats. Using natural low carb sweeteners like Xylitol, Stevia, and Erythritol. Now, I do not feel like I am missing out. Firstly, avocado’s, almonds, cauliflower, cheese and coconut oil will be your go-to friends!!! Full fat Greek yogurt (again be careful and learn good brands as some sneak sugar in and some just have carbs that are a little high). Eggs: scrambled, poached, fried in coconut oil. Cold meat and cheese (Continental style). Full English, i.e. Good quality low carb sausages, bacon, mushrooms, courgettes. Normally some kind of salad. Cold meat and cheese with garnish or low carb crackers (that I make). Marinated belly pork with cauliflower and cheese mash (no potato). Lamb chops and Greek salad. Fish pie or Shepherd’s pie with cauliflower topping. Curry made with coconut milk and spices, normally in my slow cooker served with cauliflower rice. I have had my diabetes under control for four years with no intention of letting it slide! Only you can be in control of this. Diet wise, the fail-safe way to succeed is to always have your cupboards and fridge full of food you can eat. Then, when hungry, you don’t get the urge to go looking for the first high carb snack you can find. I always have a stash of almonds in my handbag! And at home, I always have a low carb treat like chocolate covered coconut bites in the fridge. I also always have avocado, coconut oil, cheese, and low carb crackers. Always keep up with your medical appointments, I see the diabetic nurse regularly, but I don’t necessarily listen to their diet advice! I need to add that I have great cholesterol and blood pressure. It is essential that you have people to speak to that are positive and understand what you are going through, and people to share recipes and advice with. When I first started this four years ago, there wasn’t much help out there, but now a lot of the medical advice is changing to this way of thinking. There was a great BBC 1 documentary on recently called “The Truth About Carbs” with Dr. Xand Van Tulleken. It’s the first time I have watched a programme referencing diabetes and low carbs that hasn’t left me shouting at the TV. It was easy to understand and so informative and accurate. Good one for your friends and family to watch too. Allow yourself to have a bad day, but don’t let it spiral out of control. I have found when I have something naughty like a slice of toast or some crisps, it leaves me craving carbs for days. Meal planning before grocery shopping really helps too. I would like to thank Sonia for her time and for sharing her story. It is very encouraging for me personally, someone who has had their diabetes in remission for nearly a year, to hear that Sonia is in her 4th year of remission with no going back. It fills me with hope and determination to stick to this way of life, for life! 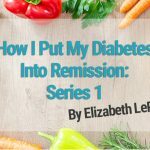 Did you miss the first edition of the ‘How I Put My Type 2 Diabetes Into Remission’ series with Elizabeth LePla? You can read Elizabeth’s story here.